Rent this bouncing barn for good ol' farm fun. 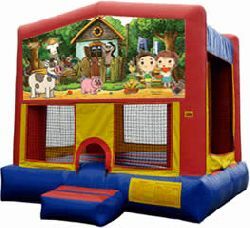 The overwhelmingly cute characters on the Farm bounce house rental combined with the giggling jumpers makes for a delightful party experience. Yee-Haw!